Unsuitable cloths or even paper make tiny scratches on the surfaces. Where liquid glass cleaners are used, fluid can penetrate the machine and cause fatal damage. Packaging unit for maintenance facilities and Marketing Partners: 10 pcs. 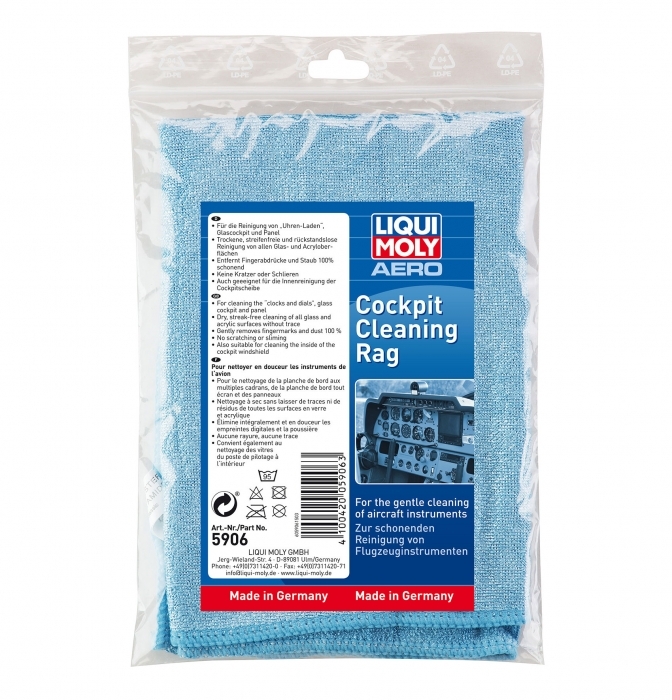 LIQUI MOLY AERO Cleaning Rag has been specially tailored to the needs of general aviation. * Based on residence in South Africa. Tax rates for other countries will be calculated at the checkout. Price exclusive of tax: ZAR126.30.